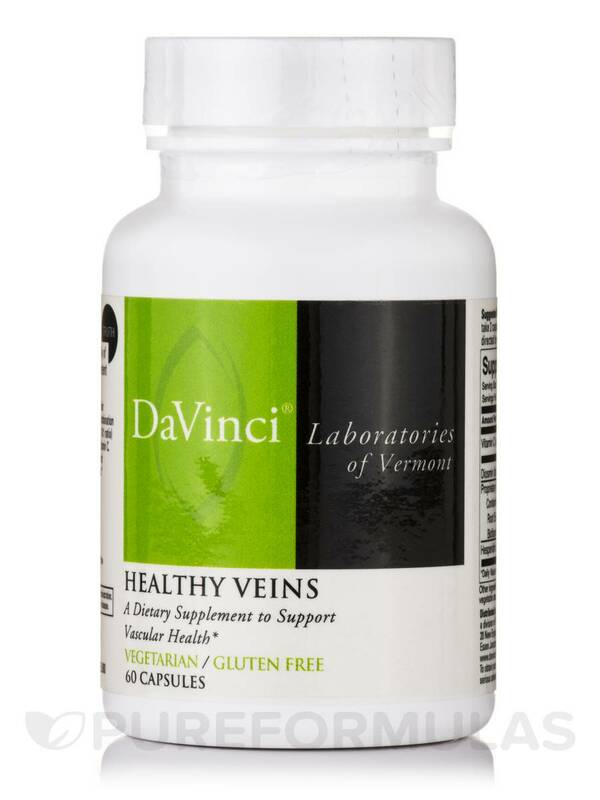 I bought Healthy Veins by DaVinci Labs in hopes of relieving the severe edema in my ankles and feet. I've been taking it about 7 days now, and there seems to be some lessening of the edema. 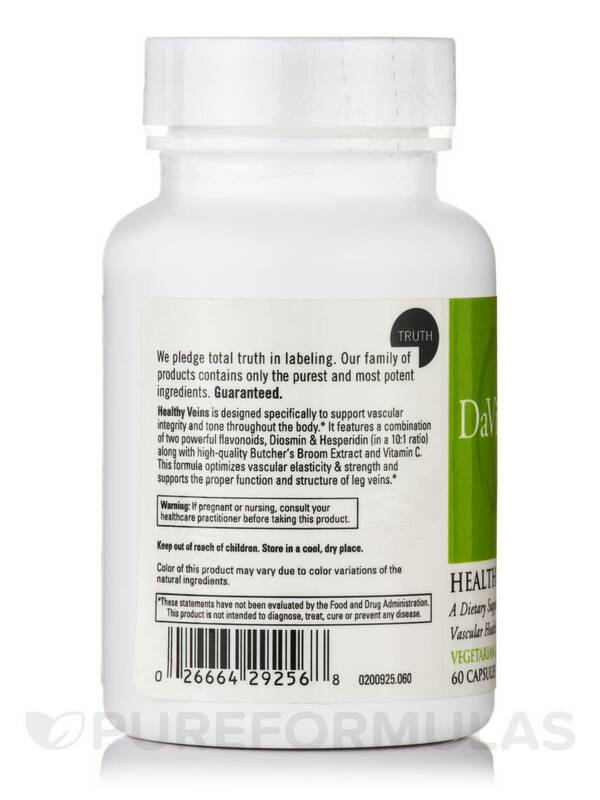 Healthy Veins 60 Capsules‚ manufactured by DaVinci Laboratories‚ helps support the proper structure of leg veins. Healthy Veins promotes healthy blood flow in the brain‚ hands‚ and legs. 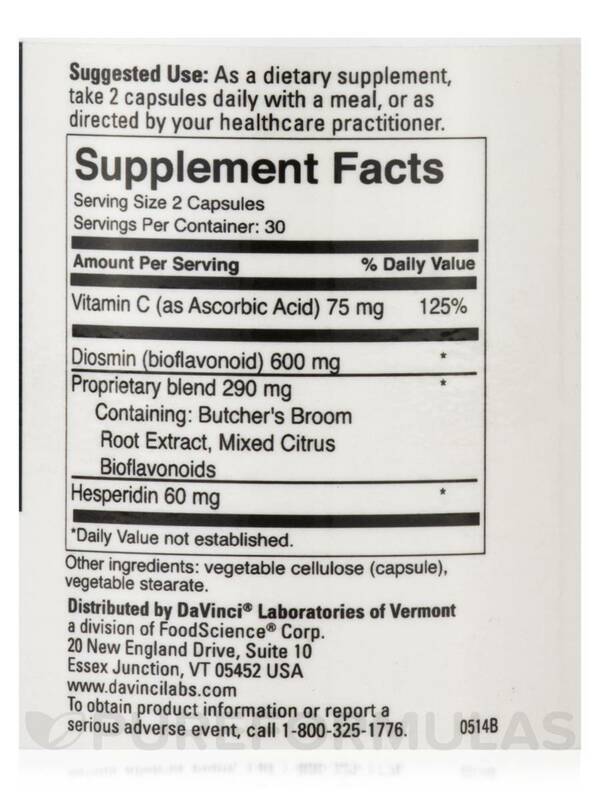 Diosmin helps provide healthy vein tone and elasticity. Vitamin C supports the strength of the walls of arteries‚ veins‚ and capillaries. Butchers Broom Root Extract helps improve blood circulation in the legs. Butchers Broom Root Extract may prevent blood from pooling in the veins‚ and has ruscogenins‚ which can help reduce the fragility and permeability of veins. Healthy Veins helps prevent restless legs. In a convenient swallowable capsule‚ you can protect the health of the veins in your body. 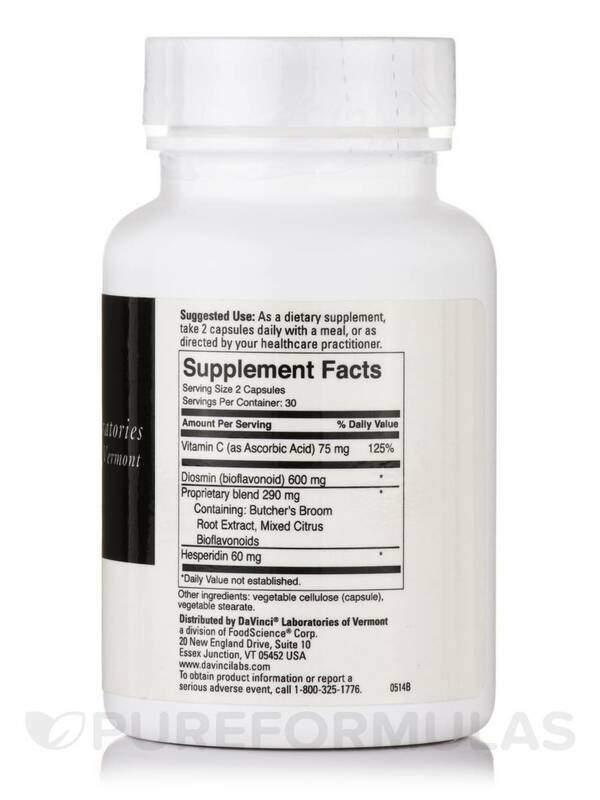 PureFormulas offers free shipping on products like Healthy Veins 60 Capsules! containing: Butcher's Broom Root Extract‚ Mixed Citrus Bioflavonoids. Other Ingredients: vegetable cellulose (capsule)‚ vegetable stearate. As a dietary supplement‚ take 2 capsules daily with a meal‚ or as directed by your health care practitioner. If you are pregnant or nursing‚ consult your health care practitioner before taking this product. Keep out of reach of children. Store in a cool‚ dry place. Color of this product may vary due to color variations of the natural ingredients. I have a problem with restless legs. I was on medication but wanted to find something just as effective but not a medication. Healthy Veins by DaVinci Labs has my recommendation. I no longer have to pace the floor. With just 2 pills a day I am free to enjoy my life. Pure Formulas delivers them quickly so I never have to worry about not having them. 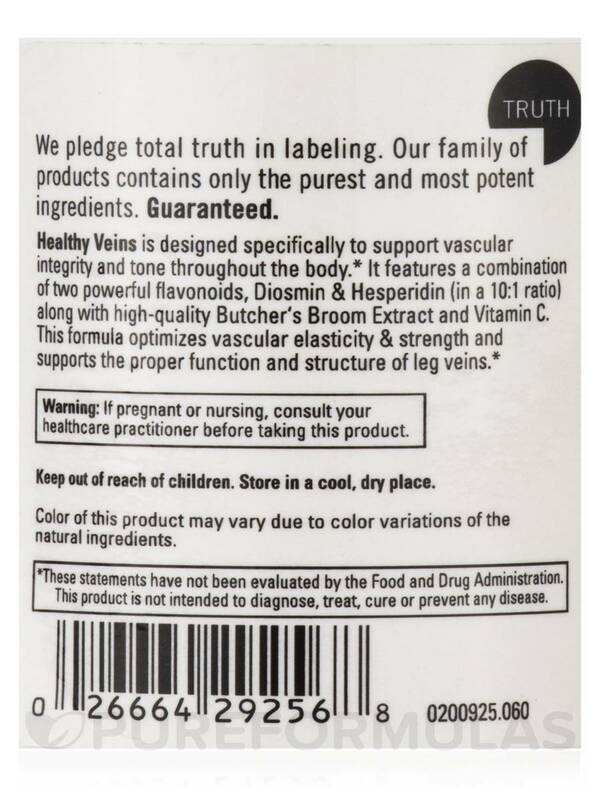 I highly recommend Healthy Veins and Pure Formulas. It works. Not a medicine. No Side Effects.